The Comune di Bologna migrates from a z/OS Mainframe to an Open Source Solution using COBOL-IT. Cobol-it > IBM COBOL > The Comune di Bologna migrates from a z/OS Mainframe to an Open Source Solution using COBOL-IT. The Comune di Bologna sought to make maximum use of Open Source solutions, as they rehosted their mission-critical online and batch applications from an IBM z/OS Mainframe environment to a Red Hat Linux environment using the Open Source COBOL-IT Compiler Suite Enterprise Edition. The Comune di Bologna was looking to cut costs through re-hosting, and to maximize those cost-savings by leveraging Open Source solutions. With the COBOL-IT Compiler Suite Enterprise Edition, the Comune di Bologna was able to adopt an Open Source COBOL solution, re-host their application without difficulty, and maintain interoperability with all of the key 3rd-party solutions in their ecosystem. With a population of approximately 385,000 people, Bologna is the seventh largest city in Italy, and is the capital city of the Emilio Romagna region. 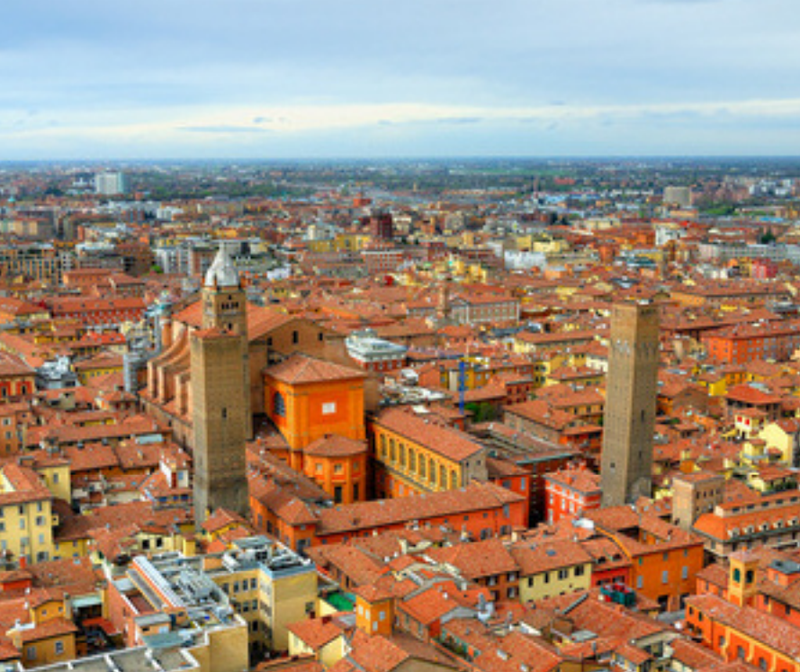 Bologna is ranked as one of the premier cities in Italy in terms of quality of life, and its university enjoys prestigious partnerships around the world. The Comune di Bologna has 4400 employees. The IT Services of the Comune di Bologna manage the Cities of Bologna, Calalecchio di Reno, and Castelmaggiore, in the Emilia Romagna region of Italy. Census information is processed by the Population Registration application, and provides the Comune di Bolonga with demographic information. With 4400 in-house employees, and additional contractors, the Human Resources application is maintained per legal specifications and is critical in the running of day-to-day operations in the Comune di Bologna. There are very strict guidelines on the management and tracking of inbound and outbound mail, as well as the registration and classification of all documents handled by the Comune di Bologna. This is subject to regular and stringent audits, and therefore requires high levels of dependability. These applications were developed in 1980 for use by the Comune di Bologna and deployed on an IBM Mainframe, with CICS and Batch components. The application stored 1 Terabyte of data in VSAM files, DB2 database, and Sequential files. The applications consist of about 9000 programs, including 10,000 copybooks, 4000 maps, and a total of roughly 9 million lines of code. The applications also include 200 AFP modules which needed to be converted to equivalent report modules, and 100 PL/1 programs that needed to be converted to equivalent COBOL programs. For the move to Open Source using COBOL-IT, the Comune di Bologna elected to migrate the DB2 data to an Oracle 11g database running in the Enterprise 64-bit Red Hat Linux operating environment running on a Dell Server. VSAM files were migrated to HTWC’s XVSAM file system. The Comune di Bologna applications have about 2000 users, and are maintained by a staff of 9 developers. The client expressed the requirement to preserve all investment to date in third-party tools and utilities. This requires the ability to emulate tools, or to interface with them, In this case, BOS-Help, OPC Batch Scheduler, AFP, TC-Access and CICS client, were on the list of features which needed to be preserved or improved. Working together, the Comune di Bologna, COBOL-IT, and HTWC technical teams implemented solutions that enhanced Comune di Bologna’s online help, batch scheduling, report writing capabilities, while maintaining bi-drectional data access to and from the Mainframe. COBOL-IT programs were successfully interfaced with all critical middleware, and third-party utilities, including XFrame, Oracle Pro*COBOL, and Jasper Reports. When the Comune di Bologna evaluated their options for lowering costs by leaving the Mainframe, they concluded that the solution set provided by COBOL-IT was the lowest cost, lowest risk re-hosting solution. After the automated re-engineering provided by HTWC, the COBOL-IT Compiler Suite Enterprise Edition compiled the source for the Comune di Bologna’s applications with no incompatibilities. Performance benchmarks all passed. Interoperability with third-party tools such as JasperReports was tested without problems. COBOL-IT’s interoperability with “C” and Java was critical in assuring the Comune di Bologna that the solution represented a solid investment moving forward, and that they would continue to be able to leverage rapidly changing technologies into the foreseeable future. COBOL-IT’s certification with Oracle was critical, as the Comune di Bologna’s application manages over a terabyte of data. For the dual tasks of moving that data from the IBM Mainframe to Open Systems, and maintaining it, with demanding performance requirements, the Comune di Bologna looked to the industry-leading Oracle database, and required a trusted partner. The entire migration was completed in less than a year, with no disruptions, and no change in user experience. Because all re-engineering tasks were automated by HTWC toolsets, risks were greatly reduced, and labor costs associated with complex rewrites and tests were avoided. Re-host mission-critical applications with minimal impact on operations and user experience. Migration of Online and Batch applications to Red Hat Linux, Oracle 11g database, and COBOL-IT Compiler Suite Enterprise Edition. Completes de-commissioning of mainframe. Significant cost savings, providing an anticipated ROI payback period of less than one year. Preserve all investment to date in third-party tools and utilities. COBOL-IT programs were successfully interfaced with all critical middle- ware, and third-party utilities, including XFrame, Oracle Pro*COBOL, and Jasper Reports. No change in user experience. Significant cost savings. Maximum integration with Open Source solutions. Maximize cost-savings through the use of Open Source solutions certified by industry-leading partners such as Oracle and IBM. Use the COBOL-IT Compiler Suite Enterprise Edition Ensures interoperability with Oracle Database, critical third-party utilities, and middleware.